We all know that when we want to study something in this world we go to a teacher who is proficient in that subject. When we are young, we go to a nursery school. As we get older, we go to middle school and high school and then on to college. If we want to learn physics or chemistry we go to a teacher or a professor. The teacher will explain to us the theory of the subject. Whenever we have any problems we can ask our teachers questions and they will sit down and spend the time to make sure the fundamentals of the subject are very clear to us. If the basics are clear, then we can build our whole knowledge on those strong fundamentals. Along with the theory, teachers also show us how we can perform different experiments so that we can have total knowledge of the subject. They show us how we can perform the experiments ourselves under their guidance so that, from a practical point of view, we can see what the theory is trying to teach to us. Thus, to get a total picture and to fully understand the whole subject, we not only need the theory but we also need the practical aspect. The subject of spirituality is not complicated, if you learn it in the right manner. Just as physics or chemistry could be complicated if the teacher is not very sure of the fundamentals and cannot properly teach us, with spirituality, which is an age-old science, we need to go to someone who knows the subject very clearly, who has done the experiments, who is very familiar with the ways beyond, so that they can guide us past all the pitfalls which are along the way. How far teachers can take us depends on how far they have gone. Just as we can perform some of our experiments in a physics or chemistry laboratory in school, similarly this human body is our laboratory that has been provided to us by God. A spiritual guide teaches us the way to do the experiments inside our body. They help us connect with the inner Light and Sound so that we can go within, experiment for ourselves, and watch our progress. They can give us not only the theory but also the practical aspect of self-realization and God-realization so that we can experience God. A spiritual guide wants us to know who we really are. They want us to know who God is. They want us to know the way back to God. They help us realize that we are not the body; that the real thing in the body is the soul. 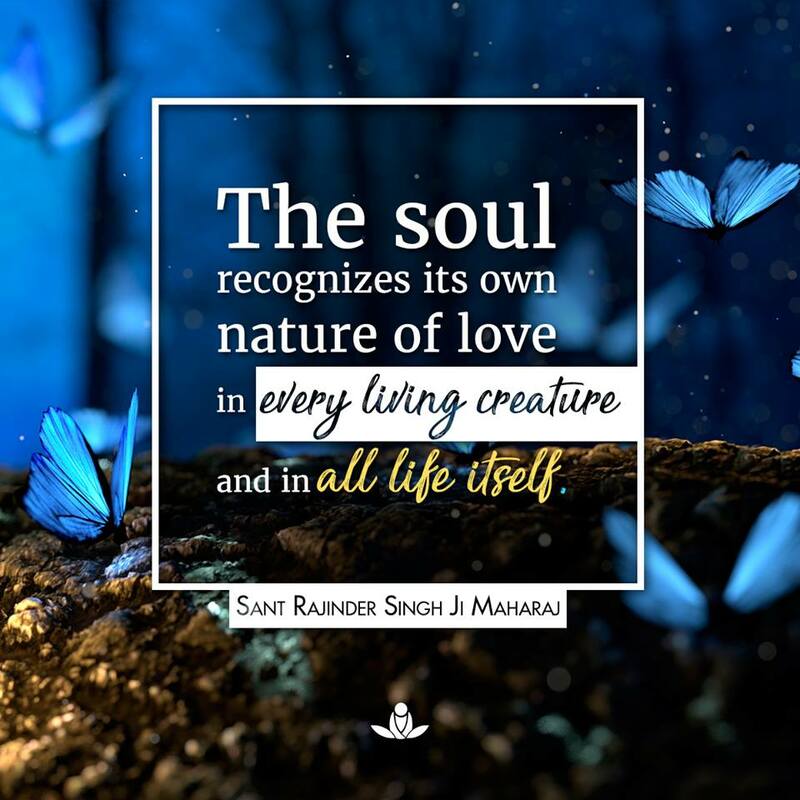 They want us to realize that the soul in each one of us is a part of God, and we have to love and respect every human being, and not only every human being, but each form of creation in this world. If we can get to a stage where we realize that the soul in each form of creation is a part of God, then we will have no trouble seeing the Light of God in everyone. As soon as we get to that state where we see the Light of God in everyone, then the connection of our soul with God happens immediately. A spiritual guide encourages people to try the experiment of meditation themselves, after they have been given the spark. Once we go within and we do the experiments in this laboratory which God has given us then we can see for ourselves the benefits of meditation. We can see that we are progressing on the way back to God.